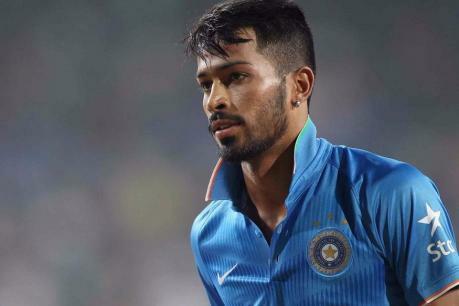 Khar Gymkhana, a reputed sports club in Mumbai withdrew the honorary membership offered to Hardik Pandya following his controversial statements on Koffee with Karan and subsequent BCCI suspension. The 25-year-old all-rounder provoked a backlash after the sexist comments he made on the celebrity chat show hosted by the Bollywood filmmaker Karan Johar in which he appeared along with team-mate KL Rahul. “The three-year honorary membership was given to Pandya in October 2018. But the club managing committee on Monday evening decided to revoke the membership,” Khar Gymkhana’s honorary general secretary Gaurav Kapadia told to PTI. Both the players were suspended for an indefinite period and were given seven days to offer an explanation about their alleged misconduct and indiscipline to the Board of Control for Cricket in India (BCCI). On the show where he shared the couch with Rahul bragged about not asking the names of women at parties and how he watched them move on the dance floor. Both of them faced serious backlash from the netizens around the country and Pandya later apologized on the social media for his misconduct saying,” may have got a bit carried away with the nature of the show”.